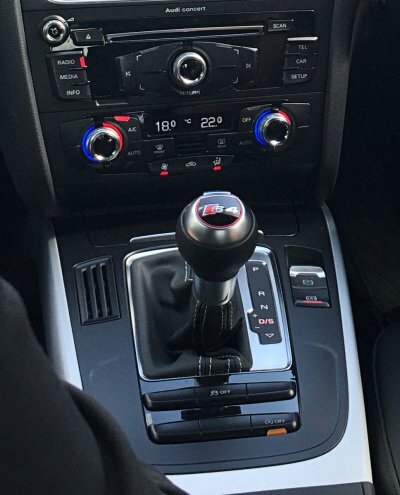 Audi S4 quick review - Are you hungry for power? I'm driving on the wrong side of the road again. And this time, Audi S4. This ought to be interesting, for several reasons. 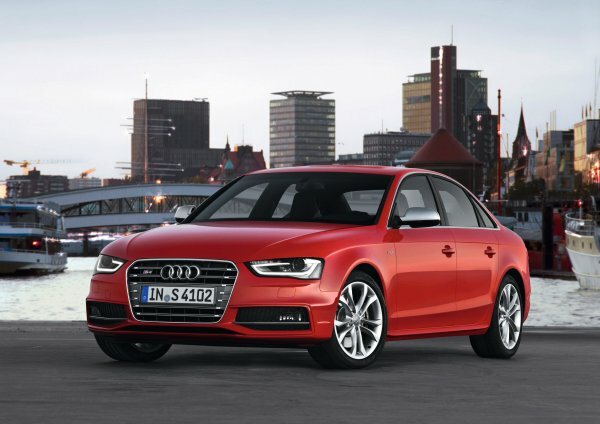 One, Audi A4 has just had a new model come out, and it will be a few more months before we see the successor S4 in action. Two, this gives you a great opportunity to sample from the old, compare to the new, and then get the right understanding where you stand with a posh saloon sportmobile. Anyhow, this is going to be a quick review, akin to my Octavia vRS and Peugeot 208 GTi tests, so don't expect too much depth and color. Still, with a 3.0-liter V6 supercharged petrol, dual-clutch seven-speed auto, and Quattro, the S4 promises to be a jolly good package. Let's see how it worked out for us. Good looking, but what's under the hood; image courtesy, Audi Media Services. S4 looks the part. Then again, all Audis are pretty things. It looks aggressive, and despite the rakish image, you can envision yourself driving this thing sedately, in comfort, with four adults on board. The luxury is not in shortage, and you get all the trims and bells you'd expect. The official figure stands at 5.1 seconds for a dash from 0-100 km/h, which is almost identical to its smaller brother, S3. You have 440 Nm of torque, so the mid-range breath should be more lungful, and the engine has six cylinders, which makes for a more refined and more noticeable grunt, sans the digital tweaks like in the smaller car. Top speed is a boring limited 250 km/h, and fuel consumption rated at about 10 liters/100 km. Good: The engine sounds delicious. It growls and burbles, and when you start the car, the revs shoot up to give you a nice wakeup call, sprinkled with adrenaline. This unit does not use artificial flavoring to make up for the lack of displacement and bores. If you are an audiophile, you will enjoy the 3.0-liter petrol's antics and barks. Bad: The interior is outdated, and you can feel the wear of years has had on the 2007 ergonomics. The air vents looks decidedly 1990s, and even though you have a battery of technology and buttons to assist you, you can't really shrug the feeling of antiquity. DAB radio, Start/Stop, dual-zone climate control don't really help. If you look up the range at Audi A6, which I had the honor of driving a while back, on the RIGHT side of the road, there, even though the interior isn't the freshest Audi, it still looks better - younger, more elegant. Bad: The driving experience was slightly disappointing. 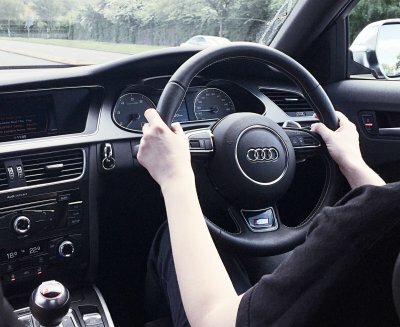 I do have to admit I only drove the S4 at relatively low speeds, through the city, in and about several roundabouts, plus a short stint on the motorway, but during that short encounter of the third kind, we didn't bond. English roads are awful, and the car is too wide for the narrow pimple carpets the sons and daughters of the Empire call carriageways. Then, the car is quite heavy, and despite four-wheel traction 'n' action, the steering was imprecise, and the nose dove when cornering sharply. The chassis control is positively outdated compared to the likes of S3 and VW Golf R. Now, I am all too aware that sports cars need to be driven hard to enjoy, but again, in similar conditions, the smaller Audi behaved rather well. Solid but not phenomenal. Lots of powers, not enough focus. 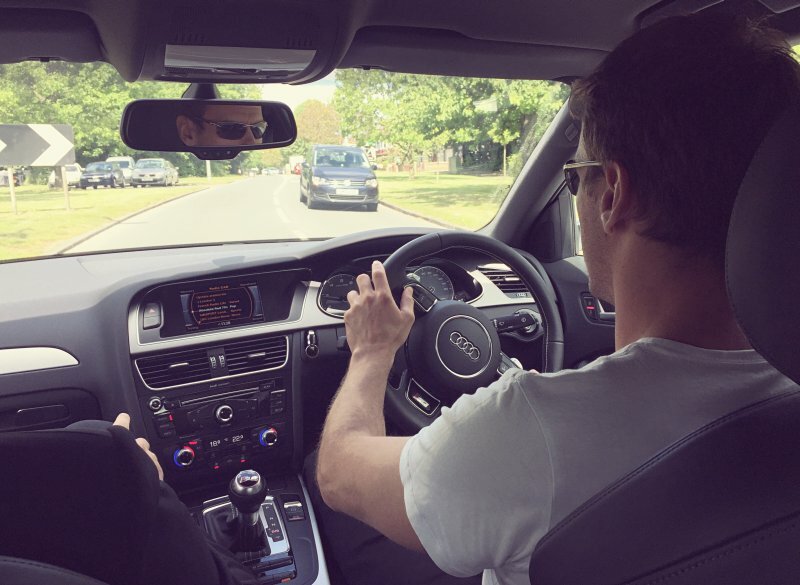 Good: The driving position is quite good. The seats are snug, and they hug well, and your body is fully supported through corners. Almost as good as the Recaros on my Opel Corsa OPC, despite the class and price difference. Still, you are well aware of the mass around you, and that slightly dampens the sensation of speed and precision you want to see happen. And then, the car went back to wherever sad cars go, and we parted without a backward glance. Audi S4 is a brutal machine with a gentle soul. It is a vehicle designed to be a daily commuter without killing your back or punching you in the kidneys, the way Corsa does every single time a challenger appears in the form of an asphalt crease. Practical, big, with all the trimmings a family and serious adults need. Then, when you want a bit of serious fun, you get that, too. On paper, 333HP V6 is meant to be a whole lot of bells and whistles, in a good way, but what happens is, you end up driving a car that has fabulous mechanics, mated to an aging interior and a chassis that does not quite cope with all the physics. The drivetrain is spectacular, but you can't escape the reality. You are locked in it, and there are better ways to spend money and fuel. Perhaps the new S4 will deliver the needed edge, and based on the early reviews for the standard saloon, it seems like it's going to be jolly good. As with any model, a handful of years brings its toll, and S4 is no exception. Overall, 6/10.